Home / CELEBRITY NEWS / SUPERHEROES / Tony Stark Mentors Peter Parker in "Spider-Man: Homecoming"
Robert Downey Jr.'s Tony Stark takes Peter Parker (Tom Holland) under his wing in Columbia Pictures' Spider-Man: Homecoming, the new action-adventure that brings Spider-Man of the comic books to the screen alongside Marvel Cinematic Universe heroes for the first time. Spider-Man: Homecoming picks up the action directly following the epic battle scene of Captain America: Civil War, with Tony Stark returning “underoos” back home to Queens. In Spider-Man: Homecoming (in Philippine cinemas Thursday, July 6), thrilled by his experience with the Avengers, Peter Parker returns home, where he lives with his Aunt May (Marisa Tomei), under the watchful eye of his new mentor Tony Stark. Peter tries to fall back into his normal daily routine – distracted by thoughts of proving himself to be more than just your friendly neighborhood Spider-Man – but when the Vulture (Michael Keaton) emerges as a new villain, everything that Peter holds most important will be threatened. His moment has arrived as he is challenged to become the hero he is meant to be. 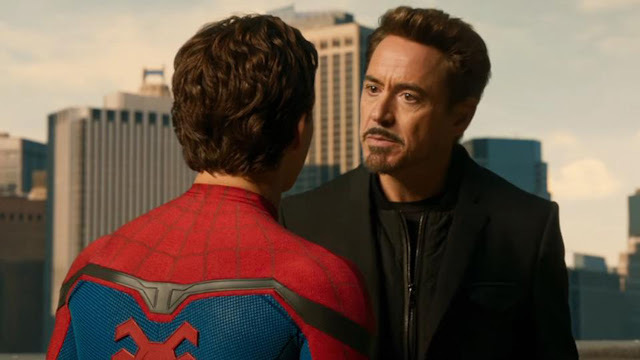 Spider-Man: Homecoming is distributed in the Philippines by Columbia Pictures, local office of Sony Pictures Releasing International.Robert Downey Jr.'s Tony Stark takes Peter Parker (Tom Holland) under his wing in Columbia Pictures' Spider-Man: Homecoming, the new action-adventure that brings Spider-Man of the comic books to the screen alongside Marvel Cinematic Universe heroes for the first time.